Disclaimer: This post contains Amazon affiliate links. That means if you click the link and buy through it, I may receive a small commission at no additional cost to you. First off #SewMyStash2015: For this one at least 50% of each project all year should use fabric from my stash. So far so good everything made in January was 100% fabric from my stash. 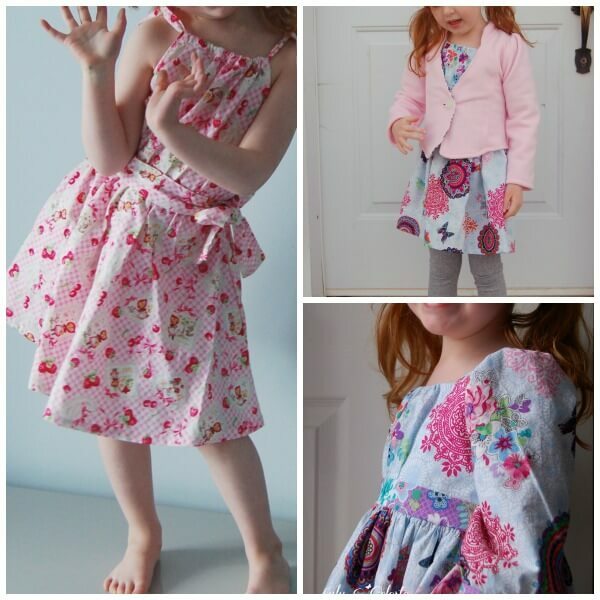 Second, Sew Your(Pattern) Stash #sewyourpatternstash: This one is about using the pattern stash. No restrictions on not buying more, but I’m trying to resist the urge of purchasing new patterns. Slight fail, I took part in the BundleUP blog tour and purchased some of the other patterns that were part of the bundle, and I did sew a lot this month but I haven’t actually completed a project from a pattern in my stash (I do, however, have the pattern and fabric cut out for one stash pattern. Hopefully I will get it done by the end of the first week of February). 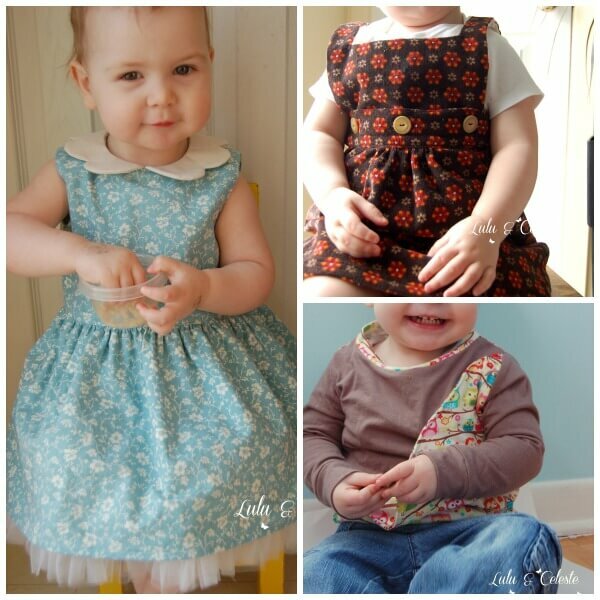 There is a monthly theme and a linky if you sew something from the theme. For February the theme is accessories, and/or pyjamas. Third, Stashbusting Sewalong 2015: This one you make a pledge to use up a certain amount of your stash. I pledged to use up 20 yards of fabric before I’ll let myself purchase even coordinates, although ultimately my goal is to not purchase any fabric at all in 2015! So far so good, I have resisted the fabric buying! This group has themed challenges and you can win prizes by posting your pictures in the Flickr group. For February there are four categories: 1- Sew something red 2-Sew something using stash fabric you hate the most 3-Sew something using your largest piece over 4 yards (I don’t think I have anything more than 3) 4- Sew something using stash you’ve had the longest. Fourth, Whip-stitch has a 2015 sewing bucket list of 17 items that I’m planning on finishing. Two of them were too easy (for me!) and I’ve knocked them off the list. #5 A garment for a child, and #11 a project from a PDF sewing pattern. What did I sew? Here are some pics! The Monthly Stitch: For February the challenge is to sew an item using solid fabrics only. But to make it more complicated you’re supposed to use a specific colour according to your first initial. My colour is blue (which thankfully I like). See more here. And use these hashtags: #TheMonthlyStitch, #TMSsolidcolours. Until February 7th, Paisley Roots is hosting a fun contest. Sew something based on an outfit from Taylor Swift’s Shake it Off video. I’ve got an idea for an outfit that hopefully I’ll be able to finish on time! Feb 2-9th is Kids Clothes Week. Although, honestly, every week is Kids Clothes Week for me! DIY Crush is having a Valentine’s sewing contest! Entries due Feb 15th! Crafting Con! I’m taking part in the Mario contest. My look is up on Tuesday! I set myself a goal to read 24 books this year. So far so good, I finished two novels! I read Secret Daughter by Shilpi Somoya Gowda and Among Others by Jo Walton. Back at the beginning of 2014 I set myself the goal to get down to under 160lbs by the end of 2014 (from a high of 196lbs at the start of my pregnancy with Baby V back in October 2012, a few days after her birth I weighed 185lbs). I didn’t quite make it, getting to 162lbs but I’m still happy with that. My goal for 2015 is to get down to 150lbs. To do that I’m exercising on the stationary bike, taking walks with the girls (when it’s not too cold), watching what I eat (eating less junk basically and more fruit and veggies). I plan to add in yoga and light weight training as well. 100% of my January sewing projects used 100% stash fabrics. I failed at the pattern stashing, I did not complete a stash pattern. I did also add 6 more patterns to my stash. 2 of 24 books are read! I want to lose another 12lbs! My goal for February is biking 10km per week; yoga three times per week; and light weights three times per week. As well, upping my veggie intake.